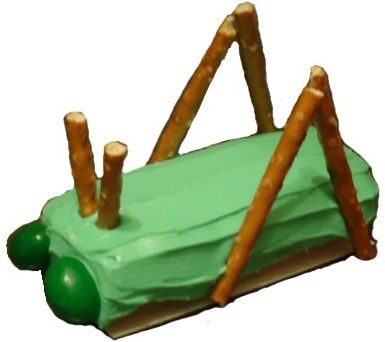 Have the kids make this during children's Church and then eat it. 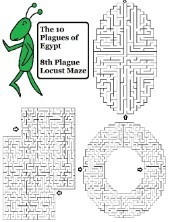 You can have your food and craft in one! 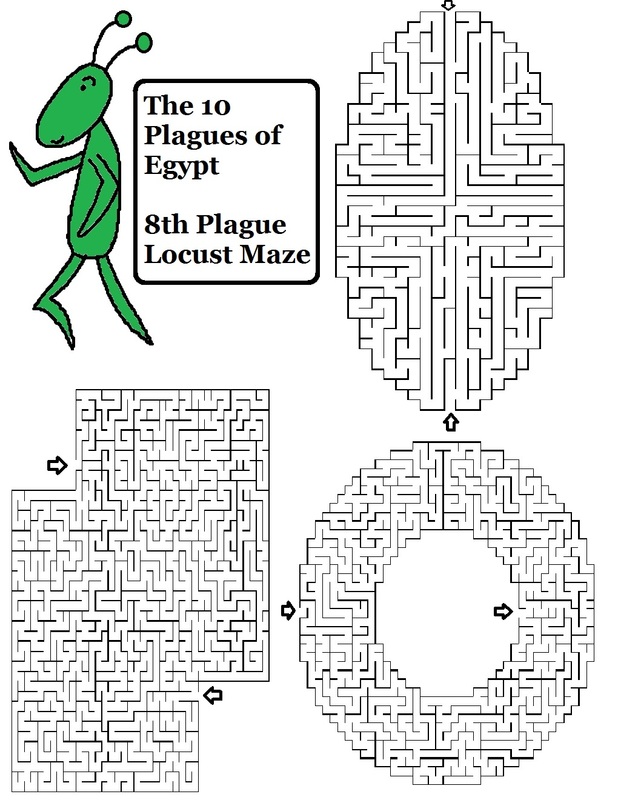 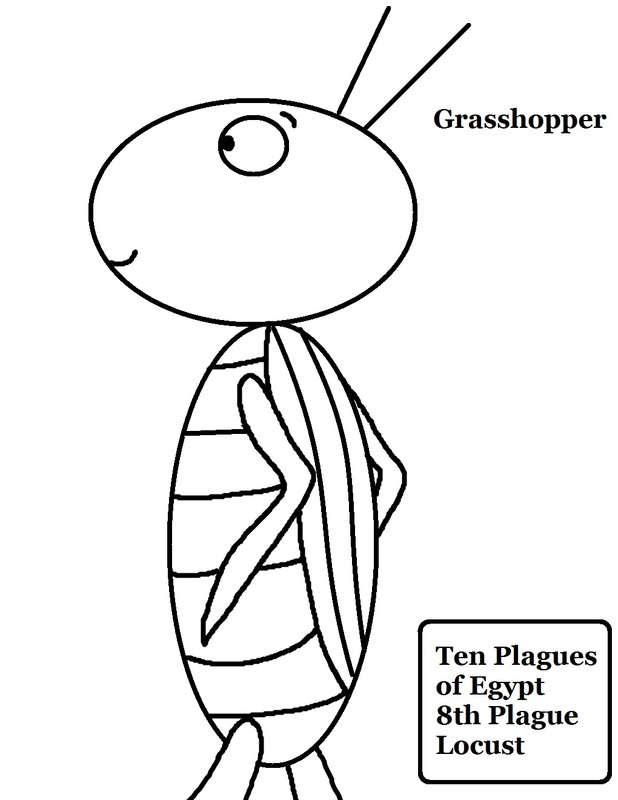 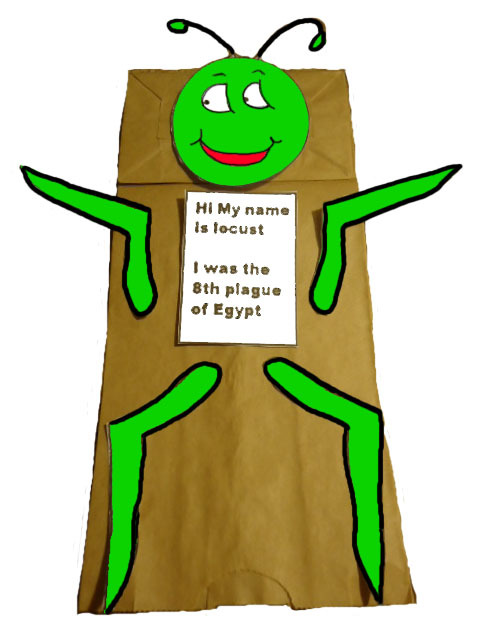 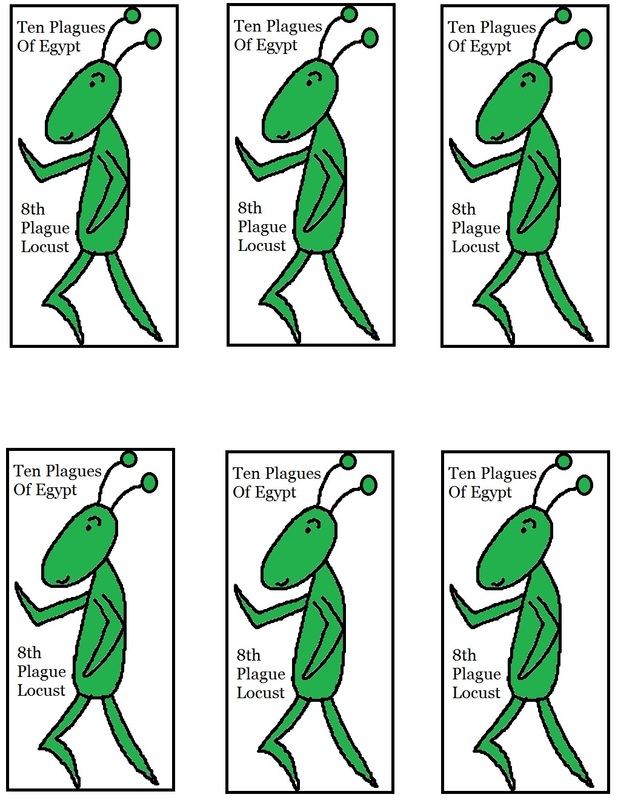 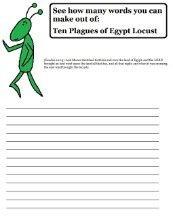 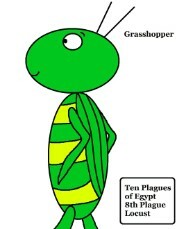 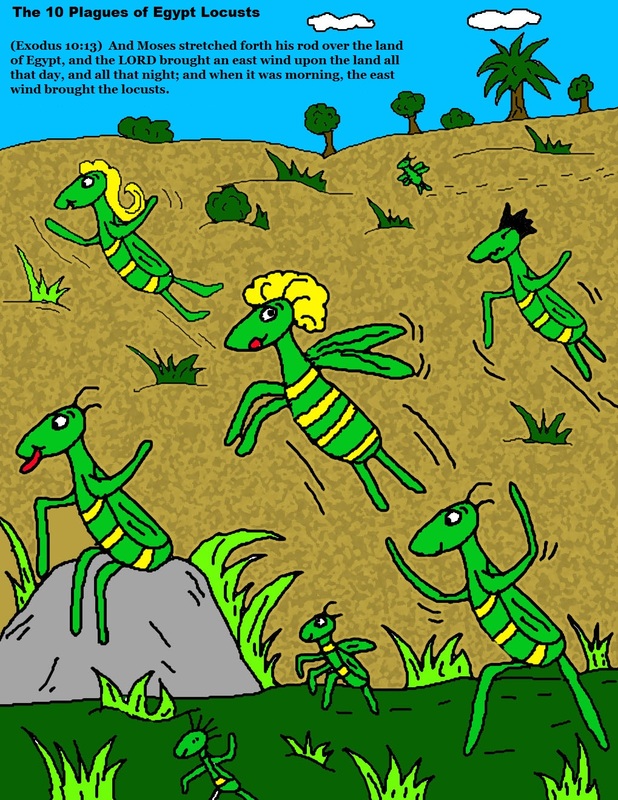 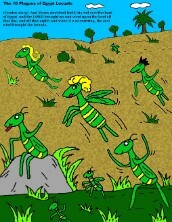 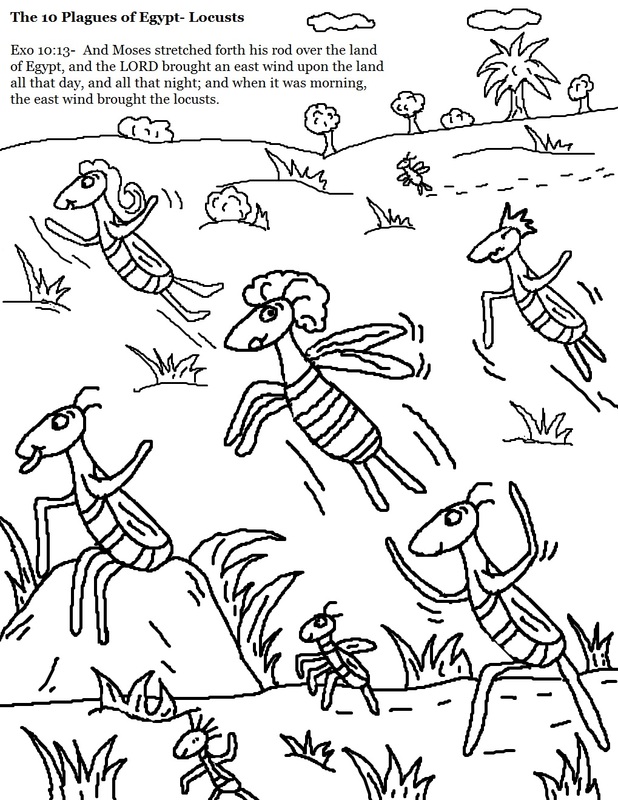 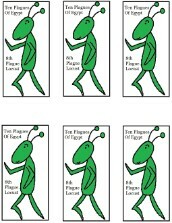 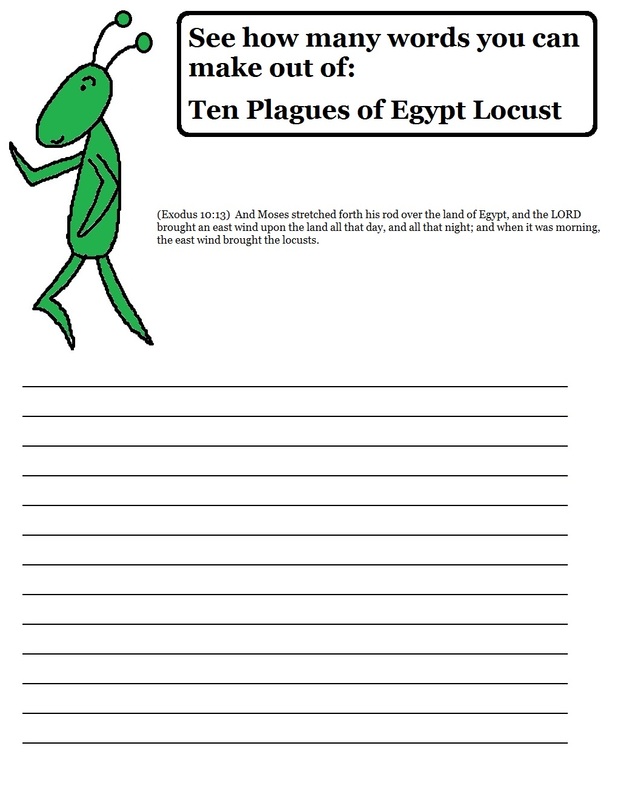 Ten Plagues of Egypt Grasshopper Coloring Page or you can have the kids cut it out and glue to construction paper. 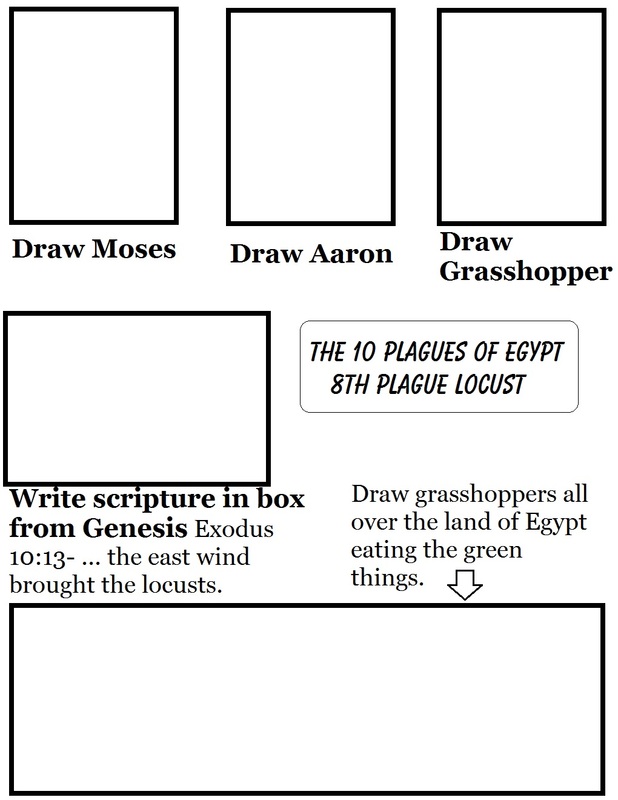 Locust Coloring Page or print the color one and laminate to hold it up and tell the story of the 8th plague. 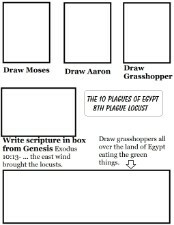 Print and cut these out and tape to cups, drinks, or add to toothpicks and stick in cupcakes or anything you can think of.